Since 1949, New Contemporaries has used an open submission, touring exhibition to support emerging fine art graduates from across the UK. For the first time in its history, the annual showpiece is launching its national tour from the BALTIC Centre for Contemporary Art in Gateshead and the Project Space at BALTIC 39 in Newcastle. Provided applicants are final year undergraduates or postgraduates enrolled on a fine art degree at a UK college, or have graduated from one in the 2016 academic year, the exhibition is open to artists from any background, regardless of ethnicity, class or gender; affording them a platform from which to stimulate their careers in a difficult and precarious climate. The selection panel for Bloomberg New Contemporaries 2017 is formed by Turner Prize winner Elizabeth Price, Turner Prize nominee George Shaw and Caroline Achaintre, who returns to BALTIC following her solo exhibition at the gallery last year. Working together they whittled 1500 blind entries down to 47, particularly noting the inability to differentiate between Masters and BA submissions – perhaps an encouraging observation for those reluctant to fund yet another year in education. 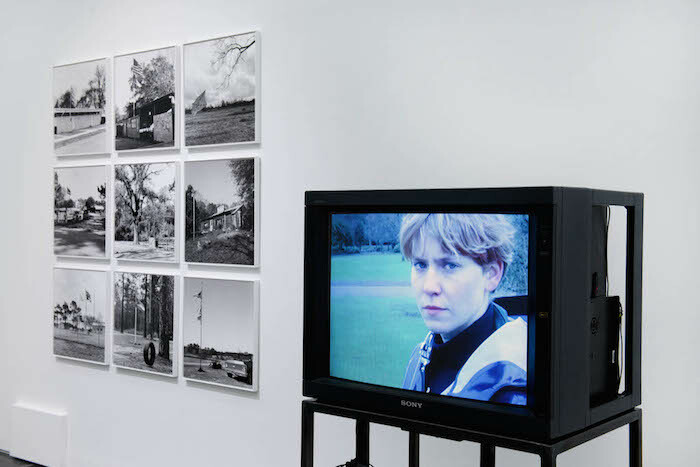 Whilst it was paramount the panel did not ‘curate an exhibition’ during the selection process, BALTIC Curator Emma Dean explained to Corridor8 how the works emulate the character of the two distinctive institutions across which they are exhibited. BALTIC 39, home to a range of studios, including Northumbria University’s Warwick Stafford and Woon Fellows, and the BxNU Master of Fine Art postgraduate course, aptly finds itself displaying the art-making process. Carla Lavin’s continual cycle of sourcing, throwing, deteriorating and re-throwing of clay has produced industrial sculptures borne out of her own unequivocal study of process. Achaintre said that Lavin’s work, and Thomas Greig’s ‘Dir_T’ (2016), were some of only a few purely sculptural applications, leading her to remark that contemporary sculpture now rarely exists without ‘having an end…becoming an installation or part of performance’, solemnly iterating that sculpture infrequently ‘stands alone’. Perhaps fittingly, the more fundamental art institution in Newcastle and Gateshead, the BALTIC Centre for Contemporary Art, ‘naturally found itself’ interpreting current political and humanitarian affairs. 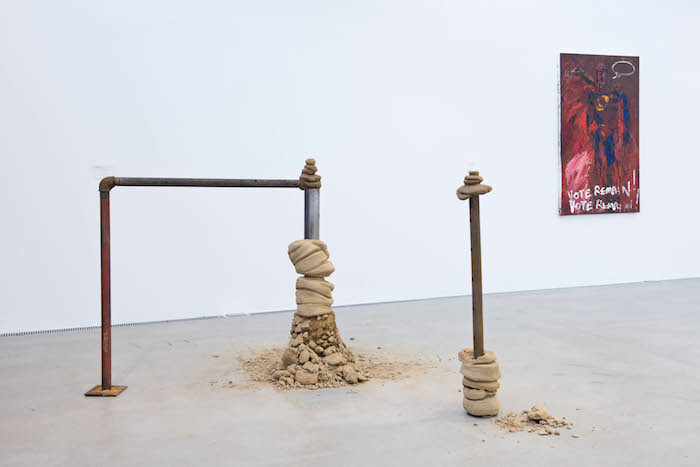 The space dedicated to Bloomberg New Contemporaries 2017 has a portentous ambience that is echoed by the largely monochromatic artworks on display. The two adjoining rooms are electrified with assorted sounds vying for dominance, an auditory overload that contrasts with the dark visuals and themes. The ear is principally receptive to the eerie sound of ‘Plasma Vista’ (2016) by Sarah Cockings and Harriet Fleuriot, whose video is obscured behind a wall so as to encapsulate the viewer in a sensory deluge. The mutating forms, gelatinous masses and human disembodiment keep one wholly transfixed, despite the dearth of comprehension as to context or subject matter. More coherently, Melissa Magnuson’s series of hand-printed Gelatin silver prints explicitly reference black marginalisation in Mississippi, and presumably America as a whole, with numerous depictions of the Confederate flag ironically flying above desolate playgrounds and school fields – arguably a reference to ethnic isolation and discrimination under Trump’s administration. 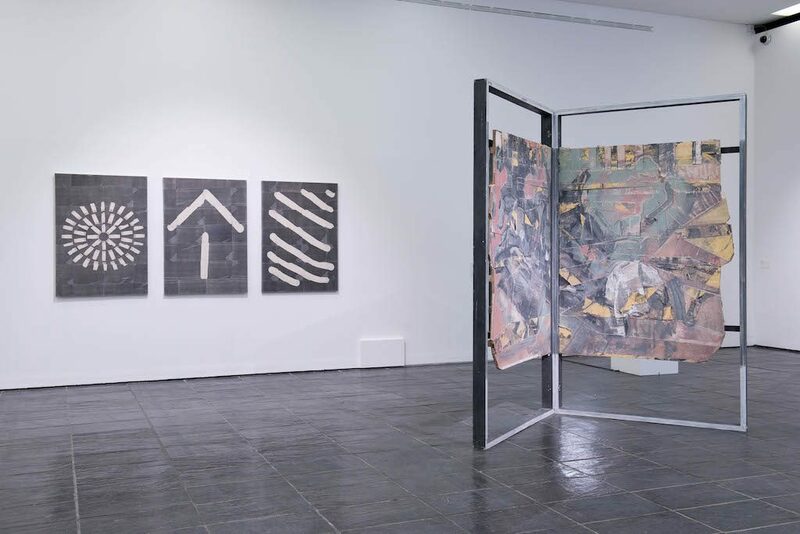 New Contemporaries assistant manager Seamus McCormack spoke of the admirable fluidity of art, and how the exhibition narrative will be upended upon relocation to Block 336, London in January, despite the artworks being identical. For now, however, the debut of this exhibition in Newcastle and Gateshead provides the region with an insight into some of the finest artistry emerging from the nation’s art schools. Bloomberg New Contemporaries, BALTIC Centre for Contemporary Art, Gateshead. 29 September – 26 November 2017.